The Bit Beacon: A Look Back At Tekken Advance! 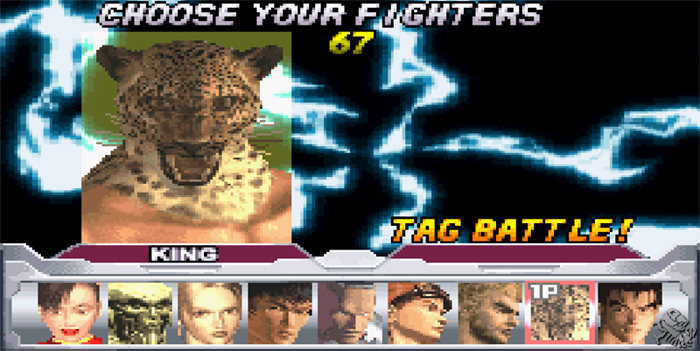 A Look Back At Tekken Advance! Here at The Bit Beacon, we look forward to watching Tekken: Blood Vengeance on Blu-ray Disc this November. In the meantime, lets have a look back at the series's most obscure title. 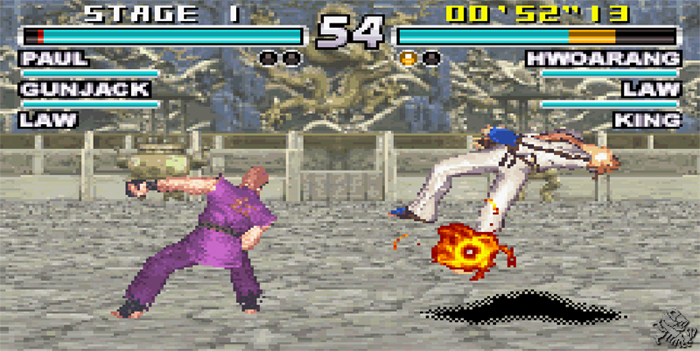 Although Tekken Advance is technically not canonical to the storyline of the series, it can be said that the game follows the events of Tekken 3. The game itself received positive reviews all around. It was given 8.5 out of 10 from IGN and ranked 8 out of 10 on Gamespot. As far as we're concerned, is easily one of the best hand-held fighting games we've ever seen. The game offers a simplified yet comfortable control scheme. Punching is mapped to the B button and kicking to the A button. The R button throws the opponent and L changes characters during Tag Battles. 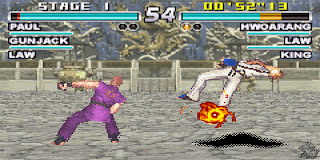 As a result of these controls, each character only has one throw, punch and kick, whereas the console titles provide two of each. Combos are created by using these buttons in collaboration with the directional pad. In spite of the character move lists being halved in this way to cater to the Game Boy Advance's button scheme, the game expands on a variety of different stun maneuvers as a bit of a trade-off. 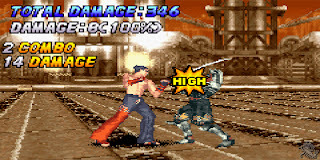 Several game modes are presented in this GBA adaption. These include the traditional 'Arcade' mode as well as 'Tag Battle',' Time Attack' and 'Survival.' The game also features 'Vs Battle' and 'Vs Tag Battle' for hand-held multiplayer action, not to mention a 'Practice' mode for brushing up on your skills. Tag Battle and Vs Tag Battle allow each player to select 3 characters and rotate through them throughout the entire battle lineup. As in Tekken Tag Tournament, only one of your opponent's characters needs to fall in order to claim victory for that round. In Time Attack, you're given 60 seconds per round to defeat as many opponents as possible by winning 2 out of 3 rounds each. Survival mode involves besting as many opponents as possible while only having a very small amount of health restored to you between fights. 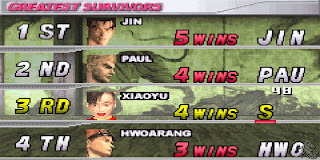 In survival mode, each opponent is only face for a single round, and not for a full match. Since there's no denying the fact that in any fighting game, we all look forward the character lineup more than anything else, lets cut to the chase. As for characters, Tekken Advance includes Ling Xiaoyu, Yoshimitsu, Nina Williams, Forrest Law (Martial Law's identical son), Gun Jack, Hwoarang, Paul Phoenix, King, Jin Kazama and Heihachi Mishima as an unlockable character. Unfortunately for me, my favorite Tekken character and lethal weapon, Lee Chaolan was not included in the mix. However, this personal disappointment did not degrade the game's fun factor for me whatsoever. The gameplay is solid! The graphics include pre-rendered CG character portraits and quality character sprites taken from Tekken Tag Tournament. All arenas in the game are 3D, allowing the player to sidestep around their opponent. 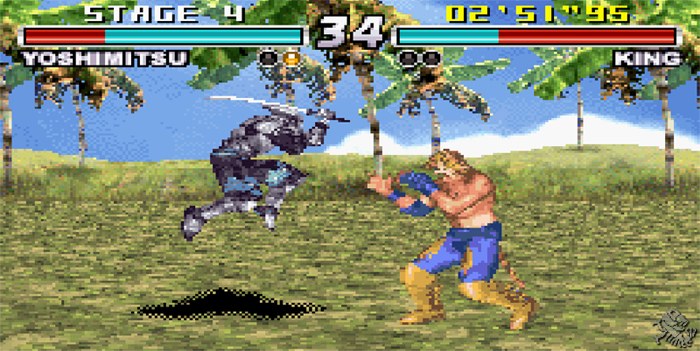 Mortal Kombat: Deadly Alliance is another example of a fighting game on the Game Boy Advance that incorporates this. The series’ traditional voice-overs are also featured in this adaptation to the series. The music and audio is more than adequate for a Game Boy Advance title. Real-time shadows and other effects are also very impressive for the hand-held platform. Overall, Tekken Advance easily made the best out of its platform’s limitations. It's single player and multiplayer features go above and beyond GBA fighter standards and the quality of its gameplay is in no way compensated. The general reception of this game was not an overstatement. It truly feels close enough to its console counterparts to be enjoyed as an adaptation to the legendary fighting series. So as we fans wait for the new 3DS installment to the series and get our Tekken on in the meantime, don't neglect its fine, hand-held predecessor. It truly is a great fighter on the Game Boy Advance with a family of characters that we all know and love!